Our Gruvz dresser offers classic vanity desk while acting as landing pad laptops, tabs, tissues and other essentials. Sleek design in polished Sheesham wood oozes vintage charm and character. 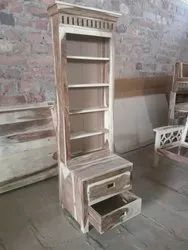 With its twin-door storage below you can keep your stuff well organized, out of sight and safe from dust and use the drawer to accommodate your jewelry, cosmetics and other knick-knacks. Godrej Interio's huge collection of Dressing Tables with mirrors and drawers made with quality material. 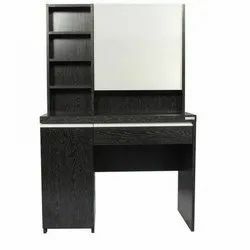 We have Godrej Interio's Dressing Tables with mirrors and drawers made with quality material.